A.M. No. 09-5-2-SC - In the matter of the Brewing Controversies in the Election of the IBP; Attys. Marcial M. Magsino, et al. v. Attys. Rogelio A. Vinluan, et al. G.R. NO. 158361 - International Hotel Corporation v. Francisco B. Joaquin, Jr., et al. G.R. NO. 165863 - Albert Chua, Jimmy Chua Chi Leong and Spouses Eduardo Solis and Gloria Victa v. B.E. San Diego, Inc./Lorenzana Food Corporation v. B.E. San Diego, Inc.
G.R. NO. 171555 - Evangeline Rivera-Calingasan and E. Rical Enterprises v. Wilfredo Rivera, substututed by Ma. Lydia S. Rivera, Freida Leah and Wilfredo S. Rivera, Jr.
G.R. NO. 175368 - League of Provinces of the Philippines v. Department of Environment and Natural Resources, et al. G.R. NO. 176985 - Ricardo E. Vergara, Jr. v. Coca-Cola Bottlers Philippines, Inc.
G.R. NO. 178758 - Marcelino and Vitaliana Dalangin v. Celemente Perez, et al. G.R. NO. 181182 - Boardwalk Business Ventures, Inc. v. Elvira A. Villareal (deceased) substituted by Reynaldo P. Villareal, Jr., et al. G.R. NO. 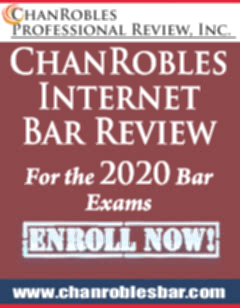 202242 - Francisco Chavez v. Judicial and Bar Council, et al. A.M. OCA IPI No. 09-3243-RTJ, April 01, 2013 - JOHNWELL W. TIGGANGAY, Complainant, v. JUDGE MARCELINO K. WACAS, REGIONAL TRIAL COURT, BRANCH 25, TABUK CITY, KALINGA, Respondent. A.M. No. P-13-3108 - Formerly OCA I.P.I No. 10-3465-P, April 10, 2013 - L.G. JOHNNA E. LOZADA AND L.G. LIZA S. MILLADO, Complainants, v. MA. THERESA G. ZERRUDO, CLERK OF COURT IV, AND SALVACION D. SERMONIA, CLERK IV, BOTH OF THE OFFICE OF THE CLERK OF COURT, MUNICIPAL TRIAL COURT IN CITIES OF ILOILO CITY, Respondents. A.M. No. P-10-2791 - Formerly A.M. No. 10-3-91-RTC, April 17, 2013 - JUDGE RENATO A. FUENTES, REGIONAL TRIAL COURT, BRANCH 17, DAVAO CITY, Complainant, v. ATTY. ROGELIO F. FABRO, BRANCH CLERK OF COURT, AND OFELIA SALAZAR,1 CLERK III, Respondents. A.M. No. P-06-2256 - Formerly A.M. OCA IPI No. 06-2374-P, April 10, 2013 - PO2 PATRICK MEJIA GABRIEL, Complainant, v. SHERIFF WILLIAM JOSE R. RAMOS, REGIONAL TRIAL COURT, BRANCH 166, PASIG CITY, Respondent. A.M. No. P-04-1785 - Formerly A.M. No. 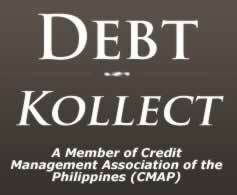 03-11-671-RTC, April 02, 2013 - THE OFFICE OF THE COURT ADMINISTRATOR, Peitioner, v. DEVELYN GESULTURA, Respondent. A.M. No. MTJ-07-1691 - Formerly A.M. No. 07-7-04-SC, April 02, 2013 - OFFICE OF THE COURT ADMINISTRATOR, Petitioner, v. JUDGE ANATALIO S. NECESSARIO, BRANCH 2; JUDGE GIL R. ACOSTA, BRANCH 3; JUDGE ROSABELLA M. TORMIS, BRANCH 4; AND JUDGE EDGEMELO C. ROSALES, BRANCH 8; ALL OF MTCC-CEBU CITY; CELESTE P. RETUYA, CLERK III, MTCC BRANCH 6, CEBU CITY; CORAZON P. RETUYA, COURT STENOGRAPHER, MTCC, BRANCH 6, CEBU CITY; RHONA F. RODRIGUEZ, ADMINISTRATIVE OFFICER I, OFFICE OF THE CLERK OF COURT, REGIONAL TRIAL COURT (RTC) CEBU CITY; EMMA D. VALENCIA, COURT STENOGRAPHER III, RTC, BRANCH 18, CEBU CITY; MARILOU CABANEZ, COURT STENOGRAPHER, MTCC, BRANCH 4, CEBU CITY; DESIDERIO S. ARANAS, PROCESS SERVER, MTCC, BRANCH 3, CEBU CITY; REBECCA ALESNA, COURT INTERPRETER, MTCC, BRANCH 1, CEBU CITY; AND HELEN MONGGAYA, COURT STENOGRAPHER, MTCC, BRANCH 4, CEBU CITY.Respondents. G.R. No. 204637, April 16, 2013 - LIWAYWAY VINZONS-CHATO, Petitioner, v. HOUSE OF REPRESENTATIVES ELECTORAL TRIBUNAL AND ELMER E. PANOTES, Respondents. G.R. No. 201816, April 08, 2013 - HEIRS OF FAUSTINO MESINA AND GENOVEVA S. MESINA, REP. BY NORMAN MESINA, Petitioners, v. HEIRS OF DOMINGO FIAN, SR., REP. BY THERESA FIAN YRAY, ET AL., Respondents. G.R. No. 201449, April 03, 2013 - PEOPLE OF THE PHILIPPINES, Plaintiff-Appellee, v. WELVIN DIU Y KOTSESA, AND DENNIS DAYAON Y TUPIT,1 Accused-Appellants. G.R. No. 201443, April 10, 2013 - PEOPLE OF THE PHILIPPINES, Plaintiff-Appellee, v. BETTY SALVADOR Y TABIOS, MONICO SALVADOR, MARCELO LLANORA, JR. Y BAYLON, ROBERT GONZALES Y MANZANO, RICKY PEÑA Y BORRES @ RICK, ROGER PESADO Y PESADO @ GER, JOSE ADELANTAR Y CAURTE, LOWHEN ALMONTE Y PACETE, JUBERT BANATAO Y AGGULIN @ KOBET, AND MOREY DADAAN, Accused-Appellants. G.R. No. 199747, April 03, 2013 - TEODORO DARCEN, MAMERTO DARCEN, JR., NESTOR DARCEN, BENILDA DARCEN-SANTOS, AND ELENITA DARCEN-VERGEL, Petitioners, v. V. R. GONZALES CREDIT ENTERPRISES, INC., REPRESENTED BY ITS PRESIDENT, VERONICA L. GONZALES, Respondent. G.R. No. 199219, April 03, 2013 - PEOPLE OF THE PHILIPPINES, Plaintiff-Appellee, v. GERRY OCTAVIO Y FLORENDO AND REYNALDO CARIÑO Y MARTIR, Accused-Appellants. G.R. No. 198682, April 10, 2013 - FRANCISCO C. ADALIM, Petitioner, v. ERNESTO TANINAS, JORGE ORITA, MA. IRMA DAIZ (DECEASED), YOLANDO DEGUINION, GRACE LIM, EMMA TANINAS, ISIDRO BUSA, MA. NALYN DOTING CO, ESTER ULTRA, FRANCISCO ESPORAS, ENRICO BEDIASA Y, JESUS CHERREGUINE,* AIDA EVIDENTE, RODRIGO TANINAS, VIRGILIO ADENIT, CLARITA DOCENA, ERENE DOCENA, GUIO BALICHA, LUZ BACULA, PERFECTO MAGRO, ANACL.ETO EBIT, DOLORES PENAFLOR, ERWENIA BALMES, CECILIO CEBUANO, MA. ELENA ABENIS, DANILO ALEGRE, AND THE COURT OF APPEALS (FIFTH DIVISION), Respondents. G.R. No. 197353, April 01, 2013 - ALEXANDER B. BAÑARES, Petitioner, v. TABACO WOMEN’S TRANSPORT SERVICE1 COOPERATIVE (TAWTRASCO), REPRESENTED BY DIR. RENOL BARCEBAL, ET AL., Respondents. G.R. No. 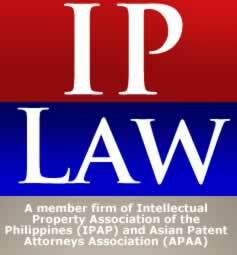 197117, April 10, 2013 - FIRST LEPANTO TAISHO INSURANCE CORPORATION, Petitioner, v. COMMISSIONER OF INTERNAL REVENUE, Respondent. G.R. No. 195317, April 03, 2013 - SPOUSES WELTCHIE RAYMUNDO AND EMILY RAYMUNDO, Petitioners, v. LAND BANK OF THE PHILIPPINES, SUBSTITUTED BY PHILIPPINE DISTRESSED ASSET ASIA PACIFIC [SPV-AMC] 2, INC., Respondents. G.R. No. 194994, April 16, 2013 - EMMANUEL A. DE CASTRO, Petitioner, v. EMERSON S. CARLOS, Respondent. G.R. No. 194368, April 02, 2013 - CIVIL SERVICE COMMISSION, Petitioner, v. ARLIC ALMOJUELA, Respondent. G.R. No. 191805, April 16, 2013 - IN THE MATTER OF THE PETITION FOR THE WRIT OF AMPARO AND HABEAS DATA IN FAVOR OF NORIEL RODRIGUEZ, NORIEL RODRIGUEZ, Petitioner, v. GLORIA MACAPAGAL-ARROYO, GEN. VICTOR S. IBRADO, PDG JESUS AME VERSOZA, LT. GEN. DELFIN BANGIT, MAJ. GEN. NESTOR Z. OCHOA, P/CSUPT. AMETO G. TOLENTINO, P/SSUPT. JUDE W. SANTOS, COL. REMIGIO M. DE VERA, AN OFFICER NAMED MATUTINA, LT. COL. MINA, CALOG, GEORGE PALACPAC UNDER THE NAME “HARRY,” ANTONIO CRUZ, ALDWIN “BONG” PASICOLAN AND VINCENT CALLAGAN, Respondents. ; G.R. No. 193160 - IN THE MATTER OF THE PETITION FOR THE WRIT OF AMPARO AND HABEAS DATA IN FAVOR OF NORIEL RODRIGUEZ, POLICE DIR. GEN. JESUS A. VERSOZA, P/SSUPT. JUDE W. SANTOS, BGEN. REMEGIO M. DE VERA, 1ST LT. RYAN S. MATUTINA, LT. COL. LAURENCE E. MINA, ANTONIO C. CRUZ, ALDWIN C. PASICOLAN AND VICENTE A. CALLAGAN, Petitioners, v. NORIEL H. RODRIGUEZ, Respondent. G.R. No. 187740, April 10, 2013 - PEOPLE OF PHILIPPINES, The Plaintiff-Appwllee, v. MANUEL CATACUTAN, TOLENTINO Y, Accused-Appellant. G.R. No. 157445, April 03, 2013 - SEGUNDINA A. GALVEZ, Petitioner, v. HON. COURT OF APPEALS, SPOUSES HONORIO C. MONTANO AND SUSANA P. MONTANO AND PHILIPPINE NATIONAL BANK, Respondents. G.R. No. 141809, April 08, 2013 - JOSEFINA F. INGLES, JOSE F. INGLES, JR., HECTOR F. INGLES, JOSEFINA I. ESTRADA, AND TERESITA I. BIRON, Petitioners, v. HON. ESTRELLA T. ESTRADA, IN HER CAPACITY AS FORMER EXECUTIVE JUDGE, REGIONAL TRIAL COURT OF QUEZON CITY, AND CHARLES J. ESTEBAN, Respondents. ; G.R. NO. 147186 - JOSEFINA F. INGLES, JOSE F. INGLES, JR., HECTOR F. INGLES, JOSEFINA I. ESTRADA AND TERESITA I. BIRON, Petitioners, v. HON. ARSENIO J. MAGPALE, JUDGE, PRESIDING OVER BRANCH 225, REGIONAL TRIAL COURT, QUEZON CITY, AND CHARLES J. ESTEBAN, Respondents. ; G.R. NO. 173641 - JOSEFINA F. INGLES, JOSE F. INGLES, JR., HECTOR INGLES, JOSEFINA I. ESTRADA AND TERESITA I. BIRON, Petitioenrs, v. CHARLES J. ESTEBAN, Respondent.